The new concept will convert the ground floor of the existing Melrose Stand into the pre booked Premier Racing Lounge, which combines a great location (adjacent to the Parade Ring) with the benefits of modern technology, delivered with a touch of luxury. The project will see the transformation of a space that was previously a back of house area, behind a bank of tote windows, which are being upgraded as part of the reconfigured scheme. Designed as an upgrade from the traditional County Stand Badge, the Premier Racing Lounge will have a capacity of up to 150 racegoers, who will benefit from a reserved seat in a first class location, a bar serving premium drinks, dedicated betting facilities and exclusive toilets. Floor to ceiling windows towards both the track and Parade Ring aspects are set to offer a bright feel, as well as creating a connection with the live sport unfolding outside. Tables will be configured for parties of four, with new furniture offering the choice of a comfortable casual chair with arm rests or the elevated style of a poseur stool. Working with a range of partners, York Racecourse is intending to offer the convenience of at table service for a range of premium drinks. A courier service will offer the ability to place bets from a seat that the racegoers will have reserved in advance. Located with easy access to a range of existing places that serve lunch, the decision was taken to devote the maximum space to racegoer use, so it does not include a kitchen. There will however be the option to enjoy a range of Proper Platters as well as premium treats from behind the bar. The Gimcrack Restaurant, Princess Mary Seafood Bar, as well as the John Carr Griddle are all easily reached for guests looking for something a little more substantial, safe in the knowledge that their seat is reserved in the Premier Racing Lounge. Prominent and extensive HD screens will showcase the racing from York as well as from other racecourses and the wider sporting world; as Yorkshire looks forward to hosting an Ashes Test Match and the World UCI Cycling Championships in 2019. This means the Lounge has the ability to host Premier Sports Events on non racedays; whether that is coverage of international racing or global sports events, such as World Cup Finals. The popular William Hill Betting Shop at the southern end of the development, is also in line for a major refurbishment, benefitting racegoers inside the Premier Racing Lounge as well as in the wider County Stand. Betting windows for the Totepool operation that are currently in this area, will relocate to form part of a reconfigured eastern aspect, opposite the Edwardian Weighing Room, with additional kiosks on the track side. 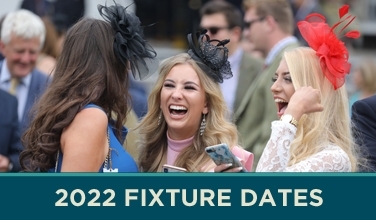 Racegoers will be able to book their seats and platters from the York Racecourse website (yorkracecourse.co.uk) with the benefits of the Premier Racing Lounge being priced to reflect the wider raceday. Starting at £56 for the Friday afternoons in June, July, October; with the Dante Festival at £65; £82 for Summer Saturdays & Music event; then £115 at the Welcome to Yorkshire Ebor Festival in August. These prices are inclusive of admission to the wider County Stand as well as VAT and racecard. 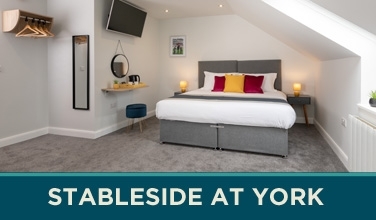 Special advance booking deals will continue to be a part of the wider York proposition. 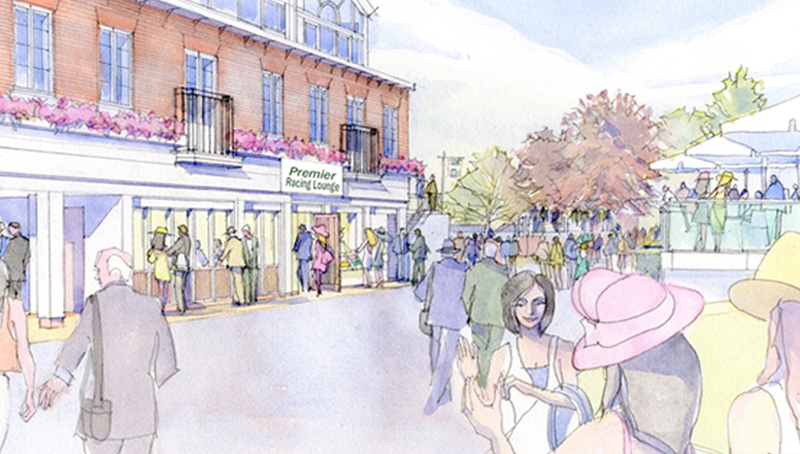 A six figure budget has been allocated for the project, which would follow the successful redevelopments of both the wider Northern End of the Racecourse and the Clocktower Enclosure, in the last five years. Up and coming Yorkshire Practice, Dawson Williamson Architects has designed the scheme. 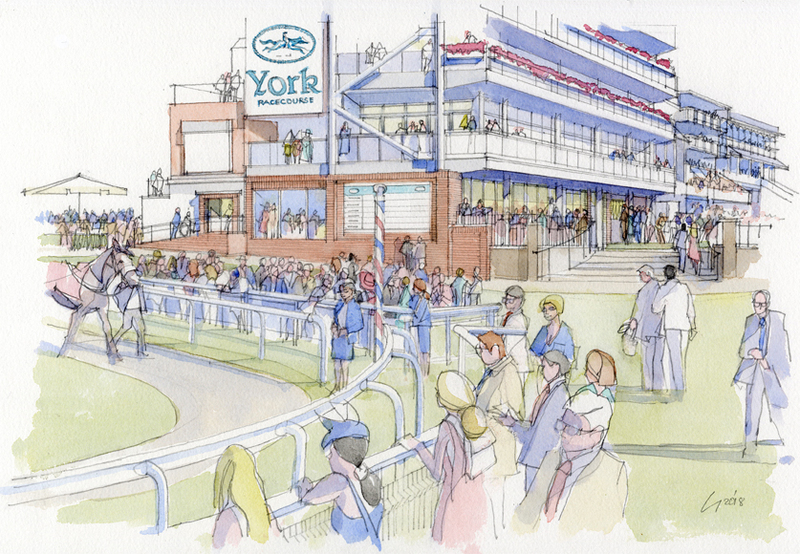 With City of York Council having recently granted planning approval, work is already underway with the intention to open the new Premier Racing Lounge for the Dante Festival that starts on Wednesday 15th May.